What’s Poppin’ Tonight! 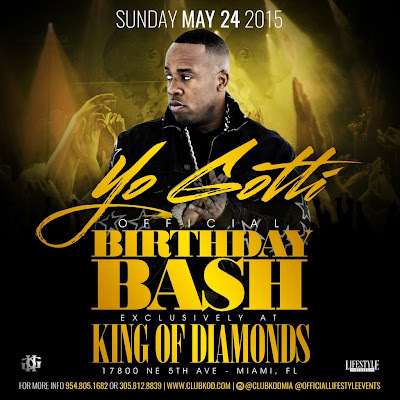 #MemorialDayWeekend presents Yo Gotti Official Birthday Bash #LIVE at King Of Diamonds ~ Phresh Hott New! Tonight! MEMORIAL DAY WEEKEND "Yo Gotti" Official Birthday Bash Exclusively at King Of Diamonds.